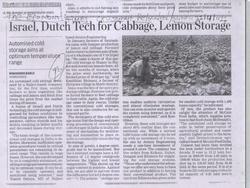 Automatized cold storage aims at optimum temperature range. For more details kindly see the image. 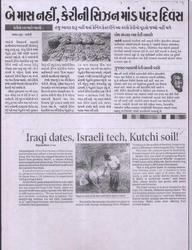 For news on Iraqi Dates, Israeli Tech, Kutchi Soil kindly see the image. 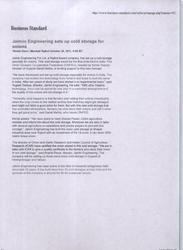 We have already exported 300 ton Ice Plant (15 container) to Saudi Arabia on 3/April/2013.